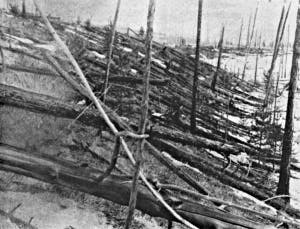 You may have heard about the Tunguska event – a huge blast of energy which occurred in 1908 over Russia and flattened more than 2,000 square kilometres of forest. More than a century since, its remarkable that scientists have yet to confirm the source of what undoubtedly is the biggest Earth impact in recorded history. The leading theory is that a meteor exploding in the atmosphere caused the huge blast, however up until now this has been difficult to confirm despite being the likeliest option. A recent study by scientists at the Institute of Geochemistry, Mineralogy and Ore Formation of the National Academy of Science of Ukraine in Kiev might settle the origin of the Tunguska event once and for all, after rock samples collected from a peat bog close to the epicentre of the blast bear uncanny physical characteristics found in other meteorites. It’s quite curious how the source of such an important event, in which an equivalent energy of 3 to 5 megatonnes of TNT was discharged, has been so difficult to confirm. In all likelihood, something that most geoscientists seem to agree upon, the even was triggered by a meteor impact, however some have proposed more extreme theories like antimatter and blackholes (yeah, blackholes…). This is because the impact was so powerful that no fragments could be retrieved. 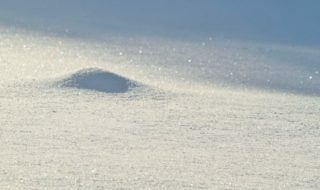 Of course, the Soviets made a number of scientific expeditions in the area, but the best they could come up with were microscopic metallic spheres found in Tunguska soil samples, thought to be remnants of a vaporized meteorite, but these too are up for debate. Now, researchers in Ukrain led by Victor Kvasnytsya think they have finally sealed Tunguska. In 1978 Mykola Kovalyukh, an Ukranian scientist, collected fragments of rocks, less than one millimeter wide, from the epicenter of the impact site. Subsequent research by Kovalykh at the time revealed that the fragments contained a form of carbon called lonsdaleite, which has a crystal structure somewhere between graphite and diamond, and forms under extreme heat and pressure. The grains also contained less of the dense metal iridium than is typically found in meteorites, so the scientific community concluded that Kovalykh’s samples weren’t actually from the meteor. Instead, what he had were terrestrial rocks altered by the high energy of the impact. Luckily, technology has evolved a great deal since then, and after taking a second, more thorough look, Ukranian researchers found that Kovalykh may have actually been right. The scientists probed the sample samples using transmission electron microscopy and discovered carbon grains that were finely veined with iron-based minerals including troilite, schreibersite and the iron–nickel alloy taenite, very similar to that in other iron-rich meteorites. “The samples have almost the entire set of characteristic minerals of diamond-bearing meteorites,” says Kvasnytsya. Moreover, previous studies that modeled the impact found that an iron-rich, stony asteroid was the only culprit that could have produced the effects reported on the ground, which conveniently fits the present findings. Other researchers aren’t that convinced, however, citing inconclusive proof. The low levels of iridium and osmium in the samples are “a red flag” that raises doubts that the fragments originated in an asteroid, according to Phil Bland, a meteorite expert at Curtin University in Perth, Australia. Moreover, the peat sediment in which the samples were found has not been convincingly dated to 1908. “We get a lot of meteorite material raining down on us all the time,” adds Bland. Without samples of adjacent peat layers for comparison, “it’s hard to be 100% sure that you’re not looking at that background”. More tests by Kovalykh and his team, as well as those by other scientists, will be required to fully confirm the findings, which can be read in a paper published in the journal Planetary and Space Science.